During the Reagan years, one of my politically attuned daughters always refused to voice her opinion on the president’s speeches until she’d read the full text in the newspaper the next day. Smart girl. On Monday, minutes after President Obama gave his Second Inaugural Address, my take on it was more positive than it was after I had read the written copy. Inaugural addresses, given every four years, are opportunities for a president to make history by articulating a vision for the country that will resonate now and possibly through the ages. President Barack Obama’s Second Inaugural Speech got off to a good start, but ultimately fell short. Rather than helping to unite the country, by speaking to all Americans, he chose to energize primarily his party. He did not speak to the Republicans he will have to negotiate with in the coming months and years, nor did he focus much on global security issues. I wanted the president to outline the grand strategy he will advance in leading this country and the world through the perilous times ahead. But his remarks were mostly domestic in nature. And the only time he alluded to leadership was in the context of clean energy. What President Obama did do was demonstrate energy and resolve. These are welcome attributes, which will serve him well if he remembers that his job performance and his legacy will depend on moving all Americans forward, not just constituents of his own political party. The President did display a new “energy” that was superb and emotional! 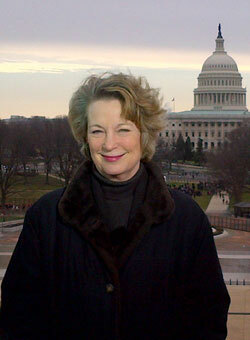 Inaugural day commentary from Ms. Susan Eisenhower. As your preface stated, very difficult to assess the speech just by listening to it and then commenting on it. Which you did very nicely. However, as you stated, reading it highlights both the major pluses and the major minuses and/or omissions. In reading it, the commitment and comments about racial, gay and immigration issues was powerful, never before stated in such a venue. For me, reading about “energy” being limited to “renewables” , and the silence on pressing national and international security issues, verified my dis-quiet when i listened. Susan, as a Red State voter, you are spot on. This administration and the Democrats have taken a hostile position toward many Red State values and beliefs. From a Red State prespective, their positions have reached an extreme which misrepresents who we are and what we believe. How can believing in the individual as being more important to society versus the State be evil? How can believing that the protection of an unprotected and unrepresented baby be evil? After all, babies are people too. How can a long barrel weapon (which kills less people annually than the annual murders of Chicago) be evil? How can the expectation of responsible spending of the citizen’s resources be evil? My belief is we have a great country. I hope this President discovers the great, the kind, the loving, and the hard working people of the Red States. We love our liberty, our guns, our freedoms from government, and our religion, but we are not evil. We do not hate. We are very fatigued by a press which continues to misrepresenting who we are and what we believe. We believe the world is a better place when citizens try to be Trustworthy, Loyal, Helpful, Friendly, Courteous, Kind, Obedient, Cheerful, Thrifty, Brave, Clean, and Reverent. These are the attributes and values of the Red States. One day, we hope, our great Nation and its Press will once again find it worth while to pursue and promote these lofty values and beliefs. In his first inauguration address Obama I thought, was much more open and conciliatory towards the loyal opposition. However, he soon discovered that the loyal opposition were solidly uncooperative, even insulting. In fact, so many of them went so far as to question the very legitimacy even of his citizenship. So this time, he did something different. Game face first, negotiate later….maybe. This means that I still agree with the proposition that our politics are still broken. And this, in a time of existential crisis. I’m particularly concerned about timidity of international cooperation on peace, and on the purposeful blindness of the global corporations to Climate Change. Classic rhetorical criticism does not allow for “do overs” by virtue of reading or re-listening to a speech. Like a “first utterance,” our gut level reaction to a speech while we are still “in the moment” is the truest barometer of our reaction. Spin and external influences set in the moment we hear another person’s comments, read an editorial, re-run only a portion of the video. When we read the speech on paper we process it without the benefit of body language or vocal intonation. Even at a neurological level, by virtue of reading versus hearing the words of the speech our brain modifies and restructures the message. Like all inaugural addresses, over time, some of President Obama’s words will take on additional weight, other’s might lose some of their impact. We have an obligation to re-evaluate the address in the light of history. However, for now, most Americans will be operating and reacting to President Obama based only on what they heard the first time and how his words affected them on January 21. I would suggest that means, at least for a week or two, President Obama earned himself a second Honeymoon. The Inauguration is the time for the country to once again come together, leaving partisanship aside until the next campaign. To this end, it should be a tradition that the other Presidential candidate and his family attend the Inaugural Ceremony, and parade, so that the two parties do celebrate together a peaceful transition of leadership and readiness to work for the good of the country of the whole. To this end, a solemn ceremony of burying the hatchet ads could be added to the festivities. Susan, Kudos as usual. I ALWAYS LISTEN to every inaugural speech live B-cause I want 2-B as proximate to the “American Experiment” as possible. Clearly partisan, spending his wealth of political capital wisely w/”We the People” @ “We the Democrats”, but I loved it none-the-less(B.O. & David Favreau still unite to capture gift of current political oratory). Still struggling w/Dept. Defense $$$$$ which used 2-B and is really Dept. of War that IKE warned us about 1960!! At present, the ONLY reason to keep killing our sons/daughters in war theatre is to PRESERVE JOBS @Lockeed-Martin/Northrup-Grumman. When insanity prevails, just follow the $$$$$. USA not only finds a way to be at war(w/our blood & treasure), we go out of our way 2-B at war because “WE” have to! F-35B fighter jet(700million/plane) x 2414 planes ordered by “Defense Dept” shortsightedly DOES NOT outsmart ONE TERRORIST!! YOU FOLLOW THE $$$$$!! Certainly ignores the insightful perspective of one Dwight David Eisenhower!! (52 years ago). IF “Defense Dept” so “worthy of SO MUCH $$$$/accolade”, where were “they” on 9-11-2001?? ?